Announcing an important addition to their already wide range of Power Splitters/Dividers. 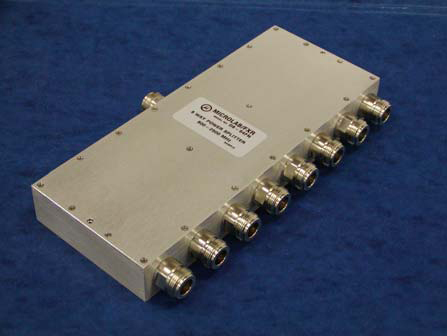 The low cost, Dx-69FN series of Power Dividers, which covers from 700 to 2,700 MHz, now includes a 6 and 8 way divider. The frequency band includes all the cellular, PCS and UMTS bands in a single unit.